When I was growing up, Baklava was a holiday staple. My step-mother's family is Armenian, so it was inevitable that at holiday gatherings someone would make it. I looked forward to it every year! Now that I'm older I make it for my family around the holidays, and my daughter loves it just as much as I did when I was young. 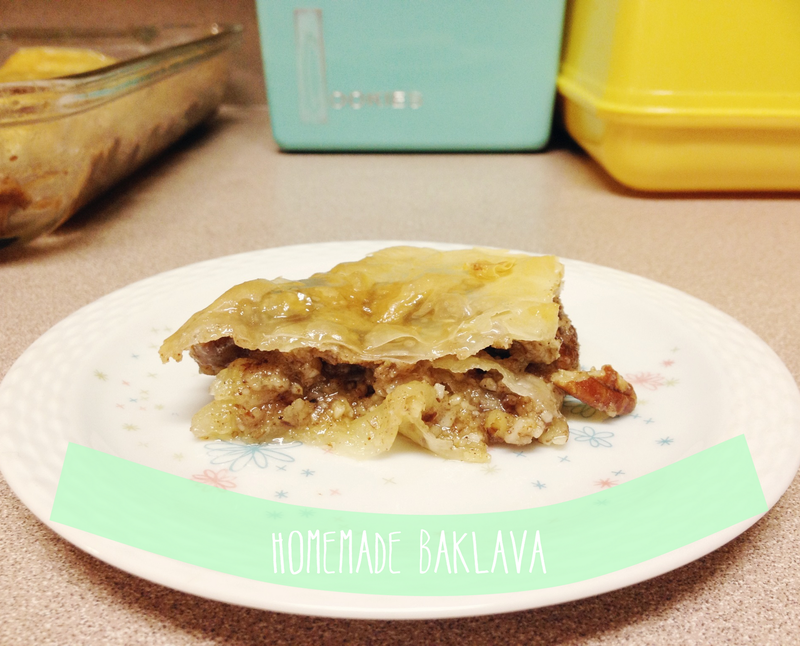 Baklava is a really easy treat to make, and I usually have most of the ingredients on hand. Pre-heat your oven to 350 degrees f. Grease a 9x13 pan. Make sure you start out with defrosted phyllo dough! Use the packages directions to defrost. In a food processor of sorts, (I used my magic bullet) process all of your nuts until they are evenly chopped. Combine with sugar, cinnamon, and cloves. Set aside. Take a sheet of phyllo dough and cover the bottom of your pan. With a pastry brush, brush the layer with melted butter. Add another pastry sheet and brush with butter again. Repeat this until you have eight layers of dough. Spoon on a layer of the nut mixture, make sure to distribute it evenly over the entire dish. Cover with two more layers of dough and butter, and then add the nut mixture again. Repeat until you run out of nuts. Pop this into the over for about 30 minutes or until it is browned and the layers look flaky. While your Baklava is cooking make the syrup. 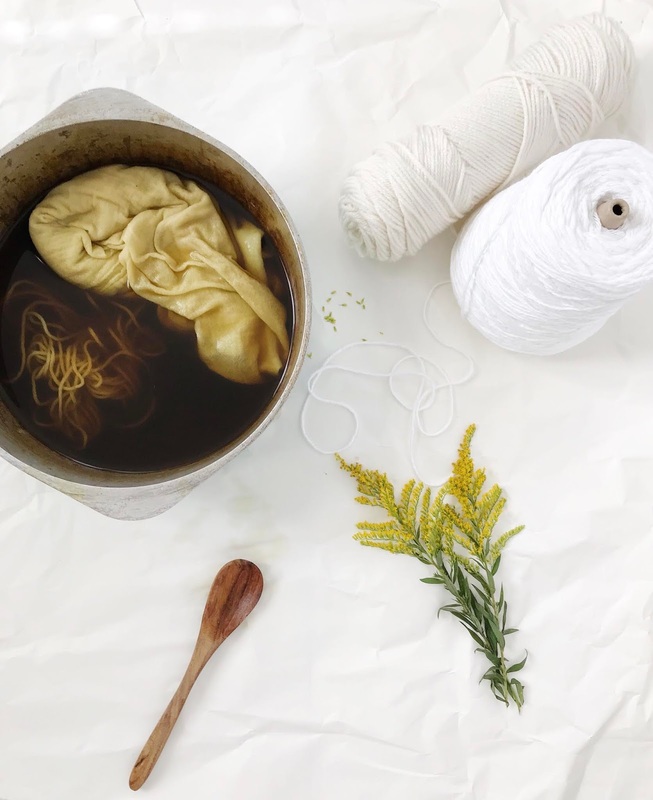 Combine all of the ingredients and bring to a boil. Turn down to a medium heat and simmer stirring occasionally until it thickens slightly (about seven minutes). Remove cinnamon stick and let cool. When your Baklava comes out of the oven spoon your honey mixture over it and let sit for about 4 hours before serving. The Baklava will soak up all of the honey sauce, so if it looks like a lot, dont worry, you did it right! I hope you guys enjoy this dessert as much as I do! Let me know if you try it out! I'm almost drooling at this! Yum!! I've been eating it like crazy, my goodness! You would love it! Yum, this looks so good! I've never had baklava, but I will be giving this a shot. Thanks for the recipe! Oh gosh, it's amazing! Let me know how it turns out for you! Sounds super delicious! I've never have it and would love to try! omg, yum. It doesn't seem overly complicated either, I will have to try! Oh yea, it's very simple, just takes a little time to do all the layers! Holy yum. Baklava is my favorite thing about the holidays. I've always wanted to make my own.